1887. 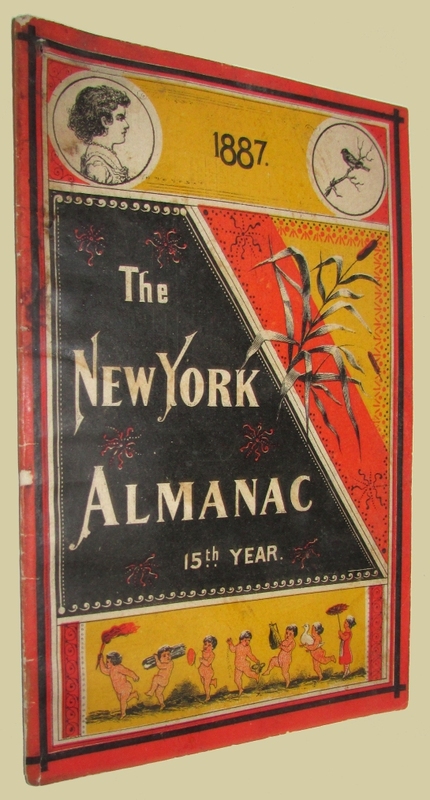 The New York Almanac 15th Year. (New York): (Centaur Co.), (1886). 8vo., original yellow, orange, and black printed wrappers, (32)pp. Puncture hole to upper left corner, light wear to spine, still near fine. 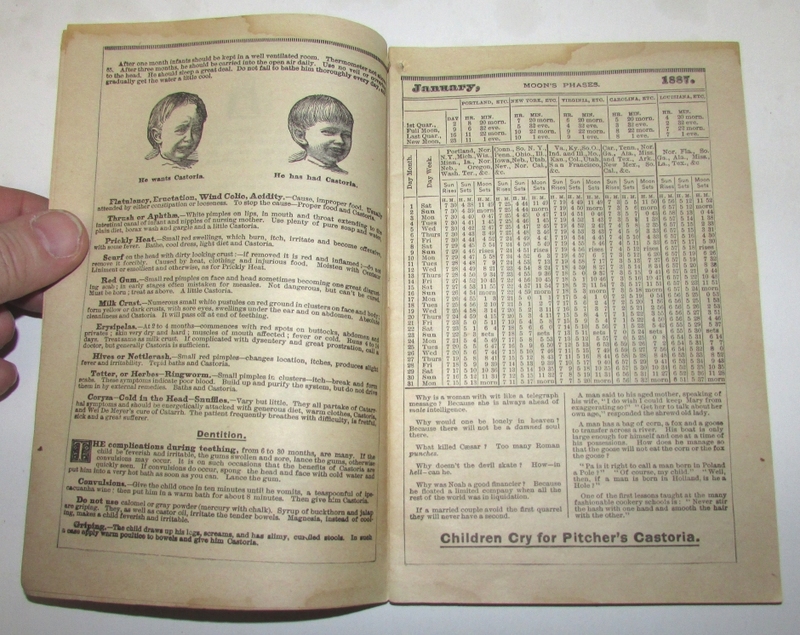 The recto of nearly every leaf contains the footer “Children Cry For Pitcher’s Castoria”. 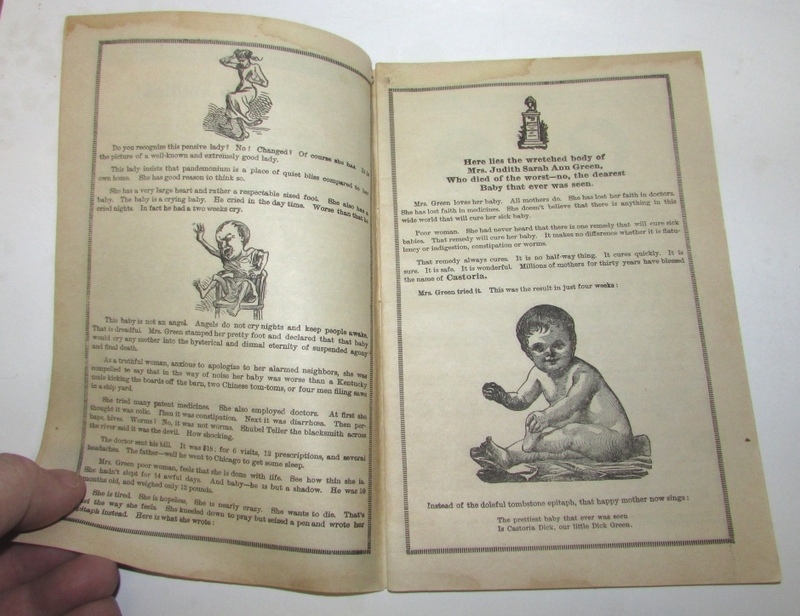 We have found records for the 1888, “16th Year” edition, but none for this item.